3 car garage, rolling shutters, water softener & conditioner, Reverse osmosis under kitchen sink, new hot water heater, surround sound speakers in ceiling, floor safe in master, garage shelving, Walk-in Tub, Covered patio, all appliances included, tons of community activities MLS#2090019. Keller Williams Market Place I.
Anthem Country Club - Popular Wide Open Summerwind Floorplan With 2 1/2 Car Garage,All In Neutral Colors Waiting For Your Own Touches.Clean And In Superb Condition,Floorplan Even Has A Powder Room..Oversized Large Master Bedroom With 2 Spacious Master Closets.Great Larger Than Usual Laundry Room With Sink And Lots Of Storage Cabinets.Kitchen Has Granite Counters,Eat Up Bar,Shutters And Breakfast Nook.Great Room French Doors To Patio And Backyard. Come Take A Look. MLS#2089825. BHHS Nevada Properties. Tuscany - *1 Stry Home That Backs Golf Course*hghly Upgraded*grd Gtd Cmnity W/ Access To Pool, Hot Tub, Gym & More*unobstructed Mtn & Golf Course Views*no Nbhrs Behind*opn Floor Plan W/ 20x20" Tile Floors*clng Fns*full Wall Slding Glass Dr W/ Electronic Drps*gnt Cntrs In Ktchn W/ Brkfst Br, Ss Appliances & Dbl Ovns*lrg Mstr Suite W/ Barn Door*mstr Bthrm Has Wlk-in Clset, Dbl Vanities & Glass Shwr*extended Cvrd Patio W/ Pavers*tnkls Wtr Heatr*2 Car Grg* MLS#2090282. Keller Williams Market Place. 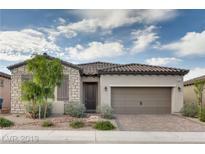 Sun City Anthem - This home is on an elevated lot that allows for more privacy. MLS#2090333. Windermere Prestige Properties. Awesome backyard with covered patio, built-in BBQ, easy care professionally landscaping so you can relax and enjoy the great outdoors all year long watching sunsets! MLS#2090186. Windermere Anthem Inspirada. 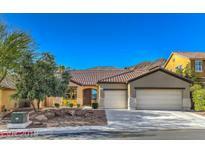 Ventana Canyon - You are in the heart of Green Valley, close to restaurants, park, and several neighborhood casinos. This is a spectacular home ! ! MLS#2090294. Realty ONE Group, Inc. Walk out to a breathtaking view of the mountains and city. This is a must see! ! MLS#2088902. Source Realty. Pictures shown are of MODEL home and not actual home available. MLS#2090179. D R Horton Inc.
Family/living rooms separate, covered patio, upstairs balcony the master suite. An absolute must see. MLS#2088514. RE/MAX Advantage. Westwood Village - So Well Presented, Well Maintained & Offering: Great Floorplan, Tile Thru-Out W/Carpeted Bedrooms, Plantation Shutters & Wood Blinds, Built-Ins At Selected Closets, Smart Desert Landscape At Front Yard W/2 Covered Patio Areas In Rear. It Will Steal Your Heart. MLS#2089945. Windermere Prestige Properties. Solera At Anthem - Enjoy the active adult lifestyle that Solera has to offer! Age restricted community 55+. MLS#2090196. BHHS Nevada Properties. Desert Canyon - Henderson location in the vicinity of Water Park, Google Data Center and Coral Academy of Science. MLS#2089329. Realty ONE Group, Inc.
Whitney Ranch - No Need To Pre-view. Show And Sell. MLS#2089914. Power Real Estate. 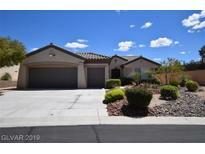 South Valley Ranch - Property has spacious backyard with covered patio; front and backyards are low maintenance. MLS#2090232. Continental Real Estate Group. Stephanie Carriage - Walk Into This Gorgeous Two Story Home, Location Location Location, Gated, Open Floor Plan, Bedroom Downstairs, Large Family Room, Ceiling Fans Throughout, Community Pool And Spa, Nice Backyard ***welcome Home*** MLS#2090138. We Real Estate Group. City View Terrace - Don’t miss out, Make an offer today! ! MLS#2090148. Compass Realty & Management, L.
Millwood Village - Tile flooring and newer carpet throughout. Pride of ownership! MLS#2088855. Keller Williams Southern Nevada. Montesol At La Entrada - Stainless steel appliances, granite counter top. MLS#2089983. City Villa Realty & Management. Newly designed backyard w/ synthetic grass, natural toned pavers & smooth rock accents! View today, move tomorrow! MLS#2089968. Robinson Realty & Management. This truly outstanding property has left no detail untouched. MLS#2086294. Black & Cherry Real Estate.